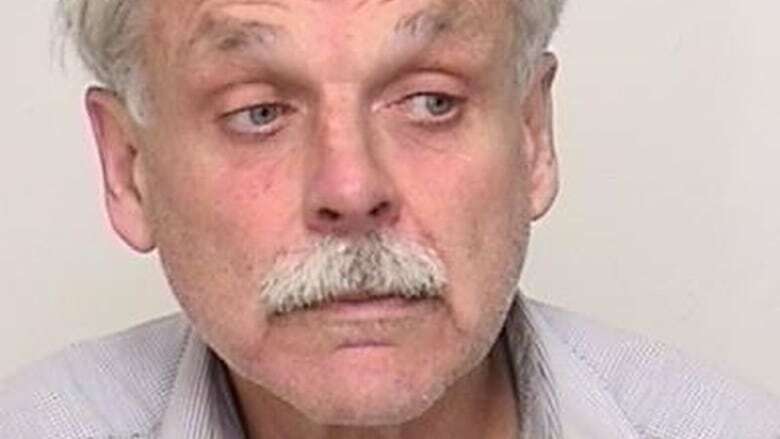 James Regan, the 62 year-old "well-coiffed" man accused of failing to pay rent while living in several high-end Toronto apartments, has turned himself into police a day after being charged with assault. Regan surrendered to Toronto police at 53 Division, 75 Eglinton Ave. West, around 8:30 a.m. on Tuesday. A police media release Monday said Regan assaulted a 56-year-old woman who confronted him about a civil matter at a residence in the Avenue Road and McMaster Avenue area on Sept. 24. The alleged victim is one of Regan's previous landlords, CBC News has learned. Regan "became enraged, and punched and kicked the woman," the release says. In October, Regan was ordered evicted from a Yorkville apartment where he'd been living since July. The decision marked the third time he had been evicted since 2014. According to the ruling issued by the Ontario Landlord and Tenant Board, Regan owes his landlord $10,000 in rent payments. Court documents show he also owes previous landlords thousands, but never paid. CBC News has also reported that, along with the disputes with landlords, Regan is alleged to have not paid for $18,000 worth of furniture, not returned a new car to a dealership after his credit application failed, and charged more than $700 to a man's credit card without permission — though in each of those cases, Toronto police did not investigate, deeming them civil matters. Regan, who has previously spoken with CBC News, has denied any wrongdoing in connection with those incidents.